Shuichi followed Tadokoro from his ramen restaurant to this crosswalk. Shuichi was just about to confront him (or push him into oncoming traffic lol) when Terada suddenly appeared and jumped on Tadokoro. This crosswalk is located near Ippudo (a famous ramen restaurant chain) in Yonohonmachi, Saitama. But to be more exact, it is actually a block away from Ippudo, right in front of the Maruichi Kougyou company, along New Omiya Dori. 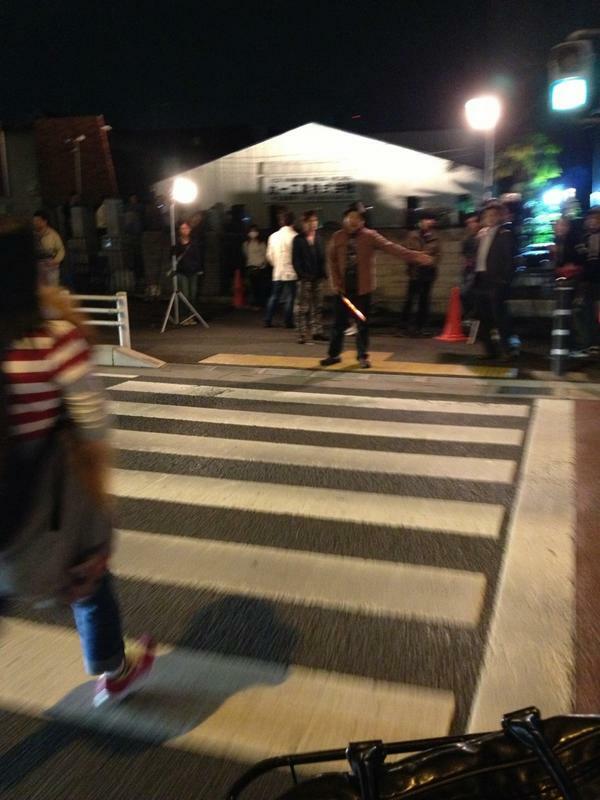 In the early morning hours of October 10, 2012, people tweeted that they saw Takki doing a drama shoot near Ippudo. One person uploaded Sidenote Picture #1, which shows Takki standing on the sidewalk as a staff tried to direct pedestrians off to the side (in preparation for the scene). 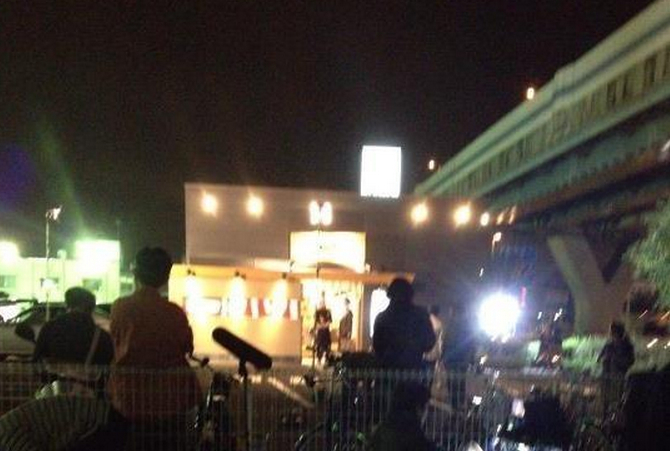 Another person uploaded Sidenote Picture #2, which shows them filming in front of Ippudo. However, it doesn’t seem like Takki was there.